I was tempted to sign up as soon as Wendy @ The Next Stitch announced the Free-Wheeling Single Girl Sewalong! I need a corporate project to get myself sewing again. I purchased the PDF pattern from Denyse Schmidt and have been agonising over fabric choices ever since! 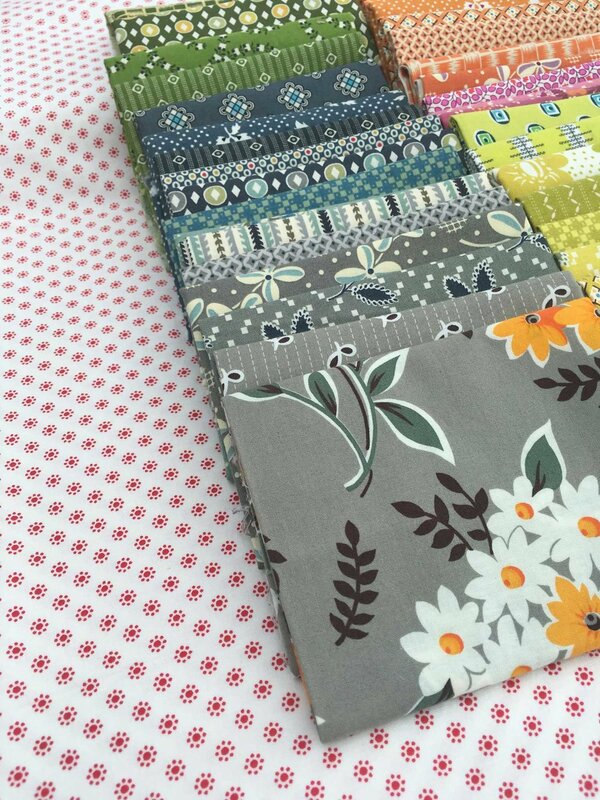 A big incentive to join the Sewalong is the chance for guidance on colour and fabric choices directly from Denyse Schmidt - such a treat to have a virtual class from a quilting genius. By far the safest option is to choose from my stash of DS fabrics and use an ivory background fabric. My favourite of Denyse’s ranges over the years is Hope Valley. So I could start with that, and extend it with prints from other ranges. Or do I swap out the ivory background for a darker mottled print? The colours immediately pop and look less muted on the darker background. Or a spot background? This feels too busy for my liking, and I worry that the regular patterned background will look wrong at the at the seam lines. So do I go for a less regular background? Nah, not liking that. I feel like this option makes everything look dull. Ok, so let’s change tack completely. Back to the stash. I have metres and metres of this tan floral fabric. It was obviously VERY cheap once! Could it work as a background? Hmmm. This combination has a much more traditional feel about it which perhaps doesn’t suit the modern aesthetic of Single Girl. I made a quilt for my son many moons ago and it is showing its age. Perhaps I can make a Single Boy Quilt?! Let’s start with my Parson Gray stash and the dark background. Hmmm, don’t mind that. Perhaps I can extend the greens into some citron just for some vibrancy? Oh look, I don’t know! I’ve given myself way too many options, none of which are wrong according to Ms Schmidt! I could make up a block in different options to help me to decide. But ain’t nobody got time for that! All suggestions for a way forward will be well received.